You wonder how fashion designers keep up: fall, spring, resort, cruise, couture, pre-fall. All this while trying to navigate the shifting sands of the industry. Soon designers may be tasked with creating yet another collection — for Bitmoji. Some already are. Last fall, the popular app, which allows users to create a personalized emoji avatar, introduced runway looks to its virtual closet. Labels whose clothes were made available free through partnerships with Bergdorf Goodman and W magazine included Michael Kors, Zac Posen, Alexander McQueen, Calvin Klein and Diane von Furstenberg. Women can buy a wrap dress and outfit their pixilated selves in the same one. It was great news for Bitmoji fans, who were long stuck with basic T-shirts and drab monochrome dresses. Now their avatar can step out (on a runway, even) in a fur-trimmed parka paired with a miniskirt by Rodarte, even if they couldn’t afford the ensemble in real life. But what about the designers whose carefully crafted wares were reduced to silly cartoons on a phone screen? Designing for Bitmoji, however, was more complicated than she anticipated. She chose three past looks that exemplified her brand, including a best-selling (in real life) red-and-white knit top. 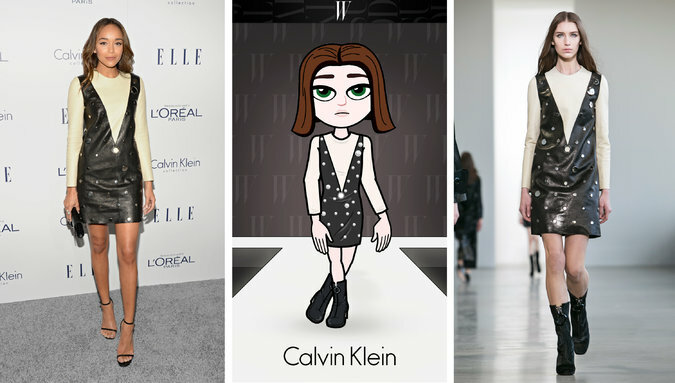 Then she worked with Bitmoji’s programmers to digitize the clothes, a process that took almost three months. As Bitmoji fans know, the avatars are pictured in hundreds of situations, and the clothes had to look wearable in each one. Ms. Taylor found that miniskirts work best (a lot of the scenarios, like a suggestion of coffee or “mwah” kiss, are not full body images), as do bright, punchy prints. So what outfits have been most popular on the app so far? In Bergdorf’s fashion packet, Rodarte’s fur parka has been a winner, said Mallory Andrews, senior vice president for sales promotion, marketing and public relations for the retailer. “That was interesting and exciting to see” because the label is so fashion forward, she said. But Jacob Blackstock, the founder of Bitmoji, cited a “very, very, very simple gray top” by Joie as one of the most popular pieces over all. “It speaks to the idea that for a lot of people, simplicity is their ideal,” he said. As in real life, there are fewer Bitmoji fashion options for men: flannels, hoodies, T-shirts, a few “black label” suits and, for the edgier guy, a Kenzo lion-print sweater in three available colors. Mr. Blackstock wants to expand the men’s offerings, but the limited wardrobe suits some users just fine. Jonathan Adler, the founder of the namesake home design company, is a big fan of the app (“Before Bitmoji, I was living life in black and white,” he said), and dresses his avatar as simply as himself. Around the holidays, Mr. Adler switched to a Hanukkah sweater with a Star of David. 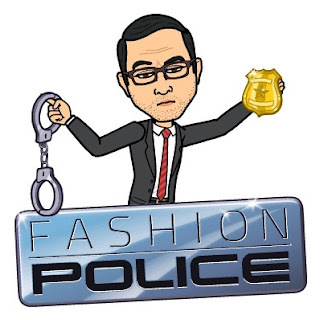 While some Bitmoji users switch outfits regularly (Ms. Taylor has workweek and weekend ensembles), Mr. Adler suggests men find a look that works and stick with it. And, he added, both sexes should create avatars that reflect (and dress) the way they really are. It’s that kind of insight into how consumers portray themselves through fashion that could turn Bitmoji into a valuable tool for designers. One can envision them previewing looks on the app, using it as a sales forecaster or even charging a tiny fee for the Bitmoji version of luxury goods that in real life would retail for thousands of dollars. “We have three more outfits in the works,” Ms. Taylor said. It turns out even avatars can’t keep up with the pace of fashion.